Sure, Thor: Ragnarok is a pretty great movie. But who needs fancy lightning special effects and dazzling set design when you could just watch the cast perform it in front of you like a high school play? Such is the premise of Thor 4D, a delightfully goofy skit from James Corden’s Late Late Show that manages to kinda-sorta-recap the events of the movie (so the mildest of spoiler warnings are in effect here) with the main cast of the film for some unsuspecting filmgoers. 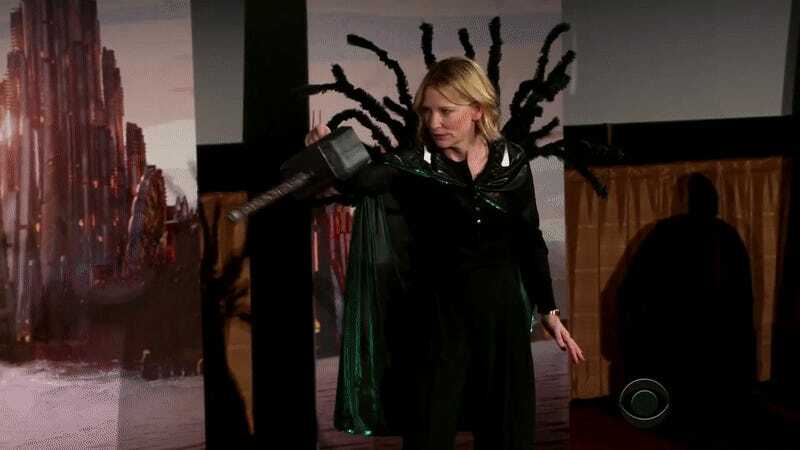 I mean, as Cate Blanchett blithely intones at one point, most people would probably just want to watch the film instead, but to them I say you’ve not lived until you’ve watched her crush a cardboard Mjolnir in four stunning dimensions.